The Braves have returned right-hander and Rule 5 Draft pick Anyelo Gomez to the Yankees, the team announced earlier today. That means Gomez cleared waivers and has been outrighted off the 40-man roster. The Yankees assigned him to minor league camp. His plus to double plus fastball sits comfortably at 93-to-96 mph with the majority of readings at 95 mph … The changeup was fringe-average coming in at a hard 85-to-87 mph with some late parachuting drop, and occasional tumble to the arm side. The Yankees put Gomez in the bullpen full-time last season and he broke out with a 1.92 ERA (2.19 FIP) and 31.0% strikeouts in 71 innings at four levels. 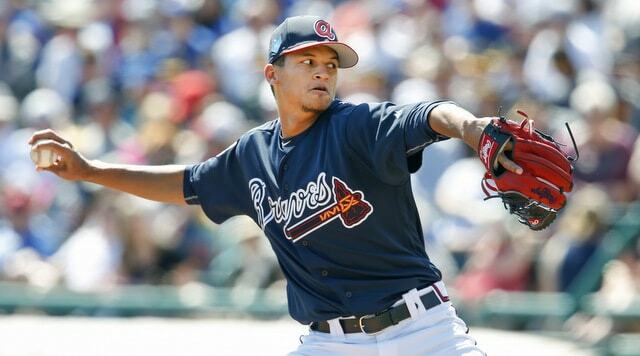 Tough spring aside, I’m a bit surprised Gomez has been returned, especially this early. I thought the Braves would give him a longer look during the regular season. Shows what I know. Even with Gomez being returned, the Yankees still have three Rule 5 Draft players out there with other organizations: Mike Ford (Mariners), Nestor Cortes (Orioles), and Jose Mesa Jr. (Orioles). Cortes appears to have a good chance to stick with the O’s. The other two seem likely to be returned.